It's time for a new challenge at 'Tis The Season and this week we have a sketch. There are so many ways to interpret this....you can make DSP your focal point, you can make an image in the corner the center of attention, whatever you want! 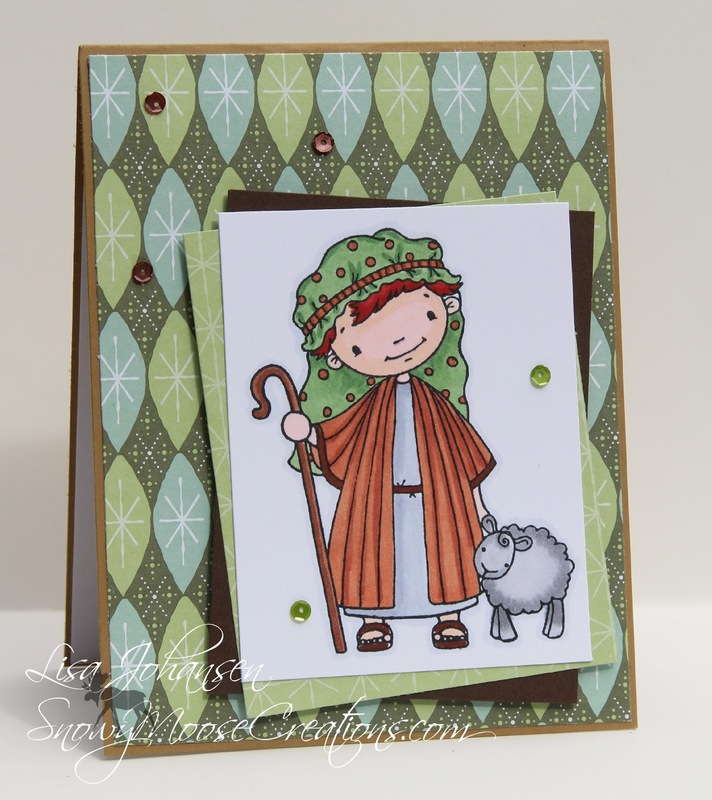 I decided to use an image in the corner and have that be the main focus of my card and this sweet Shepherd Boy from SugarPea Designs was a perfect choice. I colored the image in with Copics on a piece of Neenah Solar White. I then adhered the image panel to a panel of Wintergreen DSP and then below that added a panel of Early Espresso. 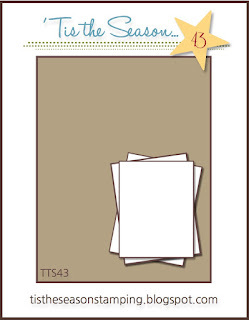 My card base is Baked Brown Sugar with some Wintergreen DSP affixed to it. The card wasn't looking finished to me so I grabbed some sequins from Pretty Pink Posh and added those and that did the trick, nice and simple and not overwhelming. 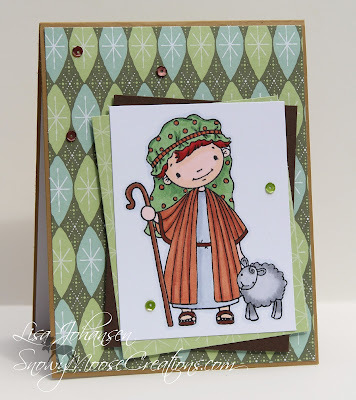 Make sure to head over to the 'Tis The Season blog to see what the rest of the DT came up with and then play along with us! We're also having a DT call so if you like to make Christmas cards year round then submit a NEW card for this challenge and put DT after your name. Easy peasy!